You are here: Home / Specialty Gardening / What is black soap? Ever wondered what black soap is? So did we, so we did some research. African black soap is a type of soap popular in Ghana, made from dried plantain skins and ashes from palm leaves, cocoa pods and other plant ingredients depending on the maker, combined with palm oil, palm kernel oil, and sometimes other essential oils. 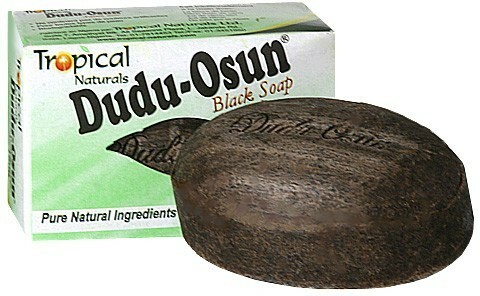 The biggest manufactured brand of black soap from Africa is the Dudu-Osun soap, which you can buy online at many different stores. 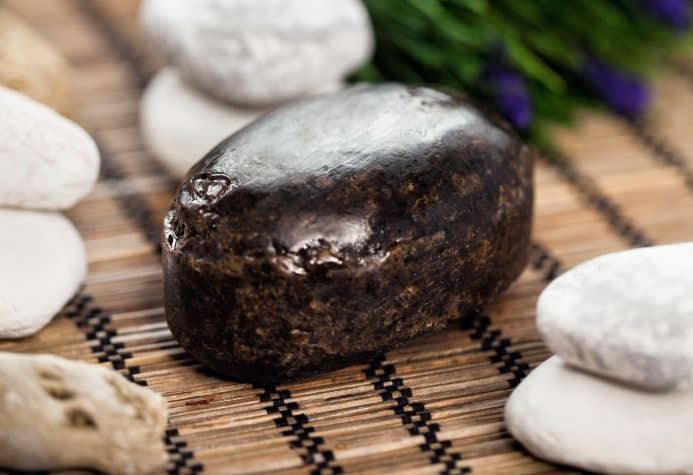 However, you can also find traditional raw black soap from various online sources, which looks kind of like a big brown chunk of something that you don’t really recognize as soap. When you buy this type of black soap, you aren’t going to know the exact ingredients, since they can vary from maker to maker. Fans of black soap make all kinds of claims about how it helps with eczema, acne scars, freckles, dark spots, and generally just makes your skin terrific. Jolly Africa goes into the details about how traditional black soap is made. This woman on YouTube explains the difference between traditional black soap and manufactured black soap. This other YouTube video explains the basics of raw African black soap. Have you ever used black soap? If so, which kind, and what did you think?